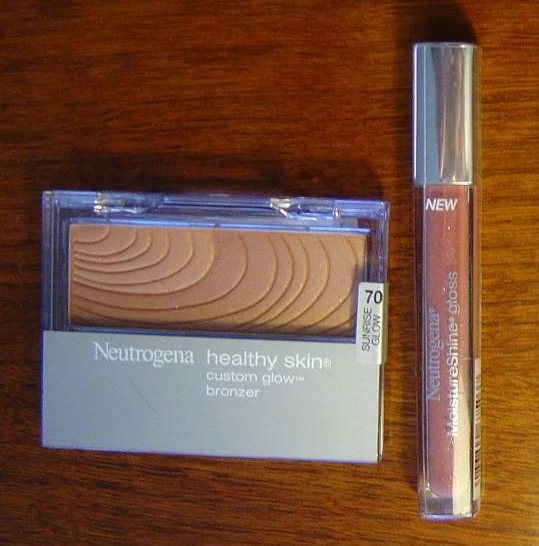 Neutrogena Cosmetics is a popular drugstore beauty brand that many of us like yours truly have used with great success. Today, I wanted to share a few of my favorite products from the brand with you for this review. Dark blue is big for eyes this season with brown caramel tones for lips. In the past, I steered away from blue shadows with my dark brown eyes. 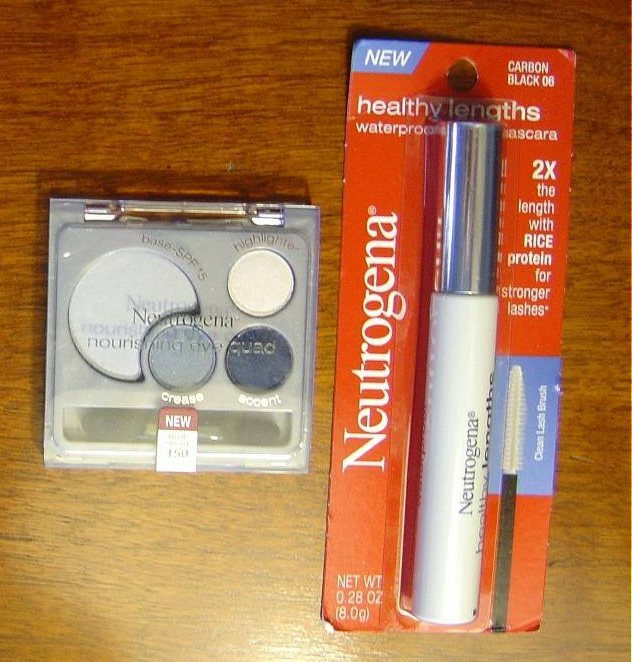 If you were like me and thought blue shadow was not your thing, then you need to discover Neutrogena Cosmetics Nourishing Eye Quad in Blue Smoke. These four coordinated colors are hardly what you would think of for blue. The base color is more a silver, the crease shade is almost a darker gunmetal gray with a tinge of blue, the accent shade for the outer corner of your eye is a deep blackish-blue, and the last, a white highlighting shade. When applied and blended, these shades surround your eyes with smoky blue color that you darken or lighten, depending on your own preference. I really was surprised at how dramatic this look was and the staying power. At the same time, I loved using more of the crease and accent color instead of mostly the base for the lid. I never thought any form of blue could be carried off with brown eyes, but this compact with only a hint of blue and more gray, silver, and black really worked that color in a stunning way. When I tried Neutrogena Cosmetics new Healthy Lengths Waterproof Mascara in Carbon Black, my eyes really popped with the rice protein that helped extend lashes without making them hard. This formula thickened my lashes better than a lot of mascaras that I have used and is advertised to help strengthen them to allow growth. The molded brush was terrific for clump-free application. A perfect choice to get that brown caramel tone for your lips is with a tube of Neutrogena Cosmetics Moisture Shine Gloss in Pure Cider. This is a warm brown, pink, and peach combined in a tube like a luscious fall conditioning treat for your lips. Your lips will never feel sticky which is an added bonus! In keeping with this look, I opted for just a dusting of Neutrogena’s Healthy Skin Custom Glow Bronzer in Sunrise Glow for just the right amount of color. I honestly loved how this bronzer delivers that sheer pearlescent glow of radiance from varied tones of peach, brown, and a touch of pink in one compact without making your face too orange or brown like some others I have tried. This bronzer gave a beautiful effect and was a lovely balance to the lip gloss and smoky blue eyes. Check out my pictures and then visit your store or Neutrogena Cosmetics online! Trust me, and you’ll love recreating this look with those products or any of their fine cosmetics. Very pretty colors! I may have to try them out, myself. Where are your pics located? They really are gorgeous shades. You can click any of my links and it will take you directly to each of those Neutrogena products I mentioned at Neutrogena Cosmetics online. Also, do check my other Neutrogena reviews for a better and detailed look and comparison of their foundations, blush, concealers, revitalizing lip balm and more. I would like to try the pizza sauce, but everything looks so good.